Final score, Vera Cole 13,346 (42%), Craig Staats 18,673 (58%). Thanks to 2008-candidate Tom Peterson, for sharing this perspective, “You earned more votes than any democrat in the 145th ever (819 more votes that I had). More important you had the largest percentage of the vote ever as well, 41.68%.” (In the 145th, about 35% of registered voters are Democrats.) Yay team, congratulations to all of us! To all of you, near and far, who contributed your time, money, creativity, attention, affection and good humor...heartfelt thanks! These are precious gifts and are what made this campaign so special. We did what we set out to do, as Gandhi says, “to be the change we want.” We worked inclusively and in harmony, reaching out to others and approaching our differences with kind and respectful candor. With all the pressure and uncertainty, as far as I know, never was a single harsh word spoken or written between us. I felt it was a campaign of character, substance and grace and hope that the campaign itself may have made the world a little better place. I know it made me a better person. I really wish we had won! But we didn’t. So, life has other purpose now. As each of us figures our way forward from this election day, I’ll remind you as I remind myself, ah, to be joyful in the time that we have been given. Following in the footsteps of longtime Republican state Reps. Marvin Weidner and Paul Clymer in the 145th Legislative District, GOP Rep. Craig Staats is seeking his second term representing the Upper Bucks district. Included in the district are East and West Rockhill, Milford, Perkasie, Quakertown, Richland, Richlandtown, Sellersville, Springfield and Trumbauersville. The district's long tradition of Republican representation presents a stiff test for Democratic challenger Vera Cole. Nevertheless, voters would be making a mistake dismissing the candidacy of Cole, who heads up the Energy and Sustainability Policy program at Penn State University. Staats has settled in comfortably in the Republican-controlled state House. We might say a little too comfortably. He cites his biggest achievement of his freshman term as the on-time passage of a $31.6 billion state budget for 2016-17 that included no sales or income tax increases. Critics have panned that budget as unbalanced, however, even though Republicans claim otherwise. Staats really surprised our editorial board when he said there exists great camaraderie among Harrisburg lawmakers. Such good feeling was hardly evident when a stalemate over the 2015-16 budget dragged on for nine months and caused genuine hardship for school districts and social service agencies all over the state. Staats agreed with our characterization of that deadlock as a "debacle" but said the budget that was finally passed was worth it, i.e., it contained no general tax hikes. In fact, while speaking of spending more money — one area was on job training in lieu of a significant minimum wage increase — Staats didn't have much to say about where additional revenue would come from. He spoke approvingly of the Republicans' hybrid pension plan for new state employees and teachers but had no answer when asked about the pension funds' $60 billion deficit. Cole clearly has different and, we believe, more realistic ideas when it comes to fixing Pennsylvania's money problems. She would address the tax system itself and isn't afraid of raising revenue, if necessary, with variable taxation on different kinds of income, plus an expansion of the sales tax. She supports a higher minimum wage of $15 an hour and believes robust public education is preferable to charter schools. Both she and Staats seem to favor a longer term of office than two years. Staats said term limits should be dictated at the polls; Cole supports a set term limit. Staats said his biggest disappointment as a first-term lawmaker was the level of frustration he experienced in Harrisburg. Voters, too, are frustrated by the political polarization that exists despite Staats' claims to the contrary. Cole, we think, would bring a fresh outlook to the office, and the leadership skills she's honed in the private sector could prove invaluable. 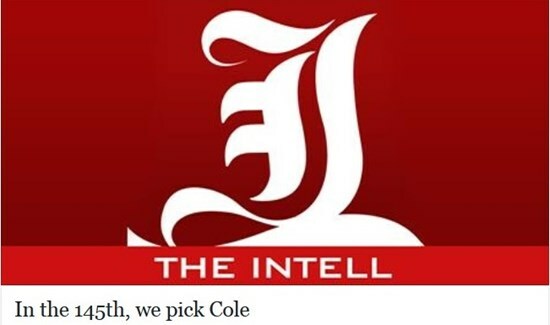 We like what Cole brings to the table: an enthusiasm to serve the 145th that's not grounded in party ideology. She has our endorsement. Democrat Vera Cole, a political newcomer who labels herself an “engineer, educator, friend to all,” and incumbent Republican Craig Staats, a former Richland Township Board of Supervisors member who two years ago was elected to his first term in the Pennsylvania House of Representatives, are this year’s candidates for the 145th District seat. The district includes East Rockhill, Milford, Richland, Springfield and West Rockhill townships and Perkasie, Quakertown, Richlandtown, Sellersville and Trumbauersville boroughs. Growing up on a family farm in South Carolina helped form her work ethic and connection to nature, Cole said. After previous jobs with manufacturing companies and high-tech startups, she has been lead faculty for Penn State’s energy and sustainability policy program for the past eight years, she said. “I always tell my students to be the change you want, and I feel frustrated with Harrisburg,” said the West Rockhill resident who serves on the township’s conservation committee. One of her priorities is make the state’s tax system more fair, she said. “We have one of the most unfair tax systems in the country in terms of how hard hit low- and middle-income families are. They pay more than their fair share of their income in taxes,” Cole said. There are different short- and long-term ways of addressing the problem, she said. “Something I look forward to the opportunity of working with others on is to make it so that we can raise the revenue that we need in a manner that’s more fair to all of our families,” Cole said. “I also think we need to restore state funding to our school systems to continue to make sure that all children have access to a quality education regardless of where they happen to be born,” Cole said. Educational funding must be designed so it is “taking care of our school children, but also providing property tax relief, which has become a very real problem for too many families in our community,” Cole said. Environmental issues are also important, she said. “We need to make very sure that we put our safe air, water and climate at the top of the list of priorities,” Cole said. That includes transitioning to a clean energy economy, modernizing the electrical grid and helping align utility company business models with environmental interests, she said. Information about Cole is available at veracoleforpa.com and the Vera Cole for PA State Rep Facebook page. As a first time candidate, “I’ve had a lot to learn, but it’s just been terrific interacting with the community,” Cole said. If elected, she’ll keep doing that, she said. “Staying close to the community is top priority with me,” Cole said. Biographic information on Staats includes that he is a U.S. Navy veteran and has 32 years of business-related experience, including 25 years in the restaurant industry. Accomplishments by the state government during his first term include passage of the state’s $31.6 billion 2016-17 budget, he said. “We increased school funding while not increasing sales or income taxes,” Staats said. “I think we need to continue to be fiscally responsible as we move forward. “Another accomplishment we made is the wine privatization act,” Staats said. “Supermarkets with a restaurant license will now be able to sell wine, and consumers can enjoy expanded hours at the liquor stores,” he said. Business organizations have endorsed him for re-election, he said. He said he has also been an advocate for law enforcement and firefighters. “Open space has always been important to me as well,” Staats said. That began with Richland Township land preservation programs and has continued in Harrisburg, where he introduced a bill to exempt conservation easements from having to pay the realty transfer tax, he said. When a conservation easement is purchased, the property cannot be further developed. In the past, the tax had not been charged on conservation easements, he said. “All of a sudden, there was some changes in the Department of Revenue and somebody said, ‘Hey, we can charge this realty transfer tax,’ and they started to do it and our concern was that it would become a disincentive to preserving open space,” Staats said. The bill was not passed, but the language from it was incorporated in the 2016-17 state budget, which puts that language into law and means the tax will not be charged, he said. His support of renewable energy sources continues, he said. Richland Township did a solar energy project while he was a supervisor and he supported the addition of solar energy at Quakertown Community High School, he said. His committee assignments in the House of Representatives are the education, liquor control, aging & older adult services and human services committees. The three school districts with portions in the 145th District — Pennridge, Palisades and Quakertown — are “great school districts,” Staats said. “I’ve been working very closely with the superintendents, trying to be a strong voice for them out in Harrisburg, especially sitting on the Education Committee,” he said. Information on Staats is available at staatsforstaterep.com and on the Craig Staats for State Representative Facebook page. 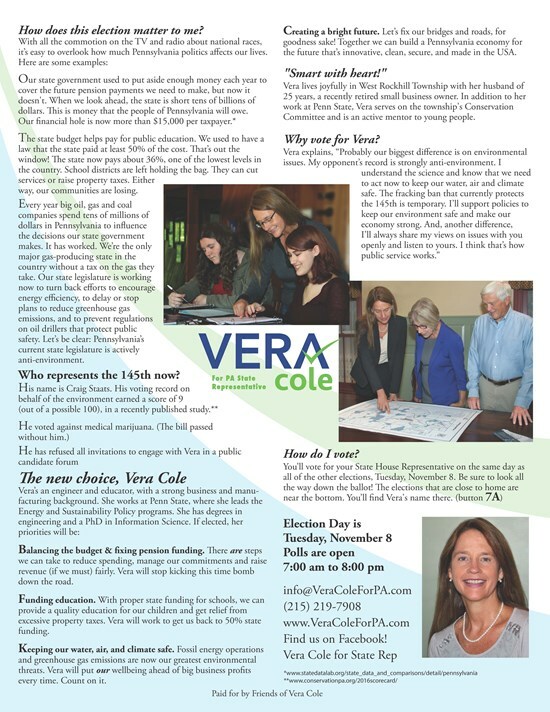 [Sellersville, PA] – Today, Conservation Voters of PA endorsed Vera Cole for State Representative. CVPA represents thousands of individuals in the Commonwealth committed to a cleaner environment and prepared to vote for pro-environment candidates. “Our environment is at a tipping point, and it’s more important than ever that we combat the damage being done to our air and water,” said Josh McNeil, Executive Director of CVPA. “Unfortunately, rather than protecting our environment, the current legislature of Pennsylvania has been doing the bidding of polluting industries and trying to dismantle key protections for our air and water. Representative Craig Staats has repeatedly voted against protecting our air, water, and land—earning him a dismal 9% on our 2015-2016 Pennsylvania Environmental Scorecard. His anti-environmental votes included holding the state budget hostage for months fighting against environmental protections and voting to delay and weaken the crucial Clean Power Plan. Rep. Staats has consistently put the interests of polluters above the interests of her constituents. 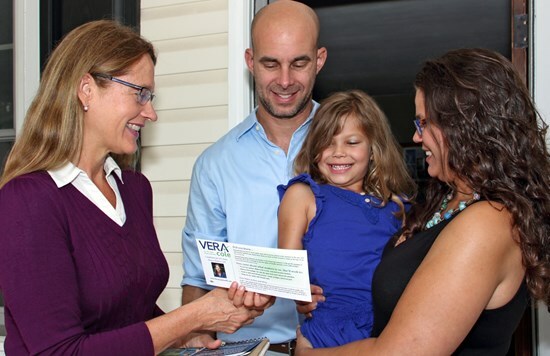 Information about Vera can be found at www.veracoleforpa.com. Conservation Voters of Pennsylvania is an organization dedicated to protecting the environment by passing better environmental laws and electing candidates committed to a cleaner, safer Keystone State. CVPA was founded in 2009 and built on the successful model of the national League of Conservation Voters and its affiliates in 33 states.